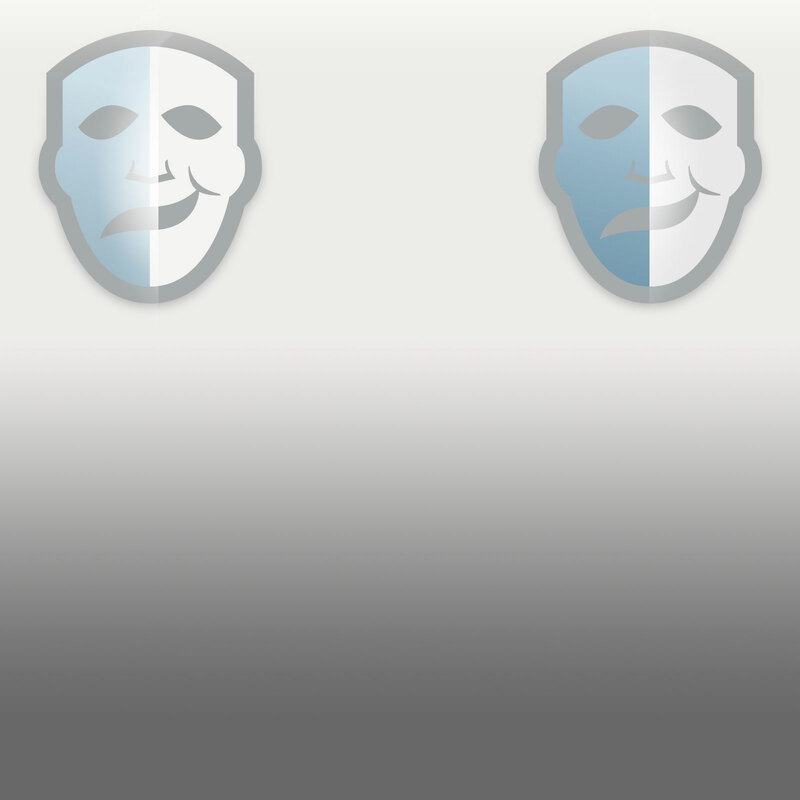 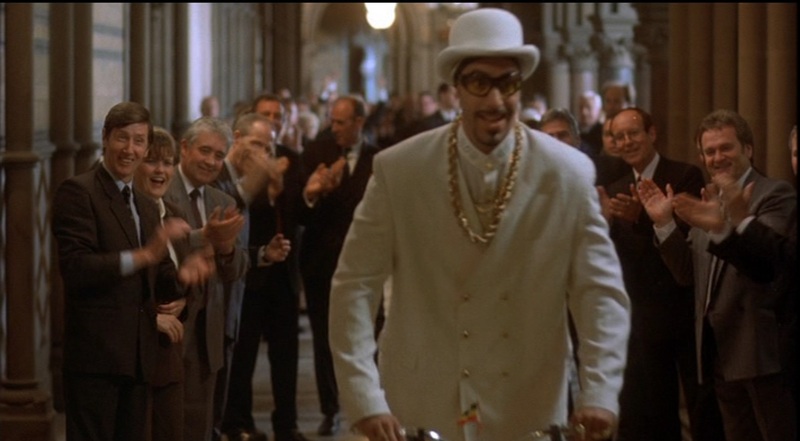 "I'm not Ali A, not Ali B, Ali C, Ali D, Ali E, Ali F... but... Ali G!" 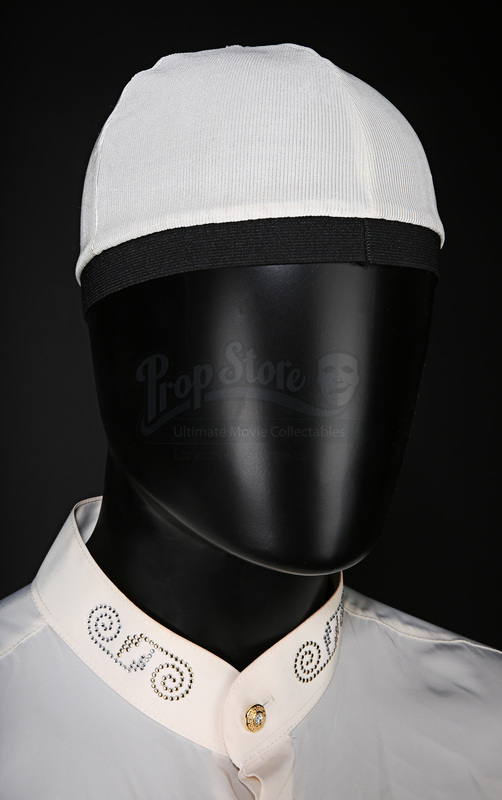 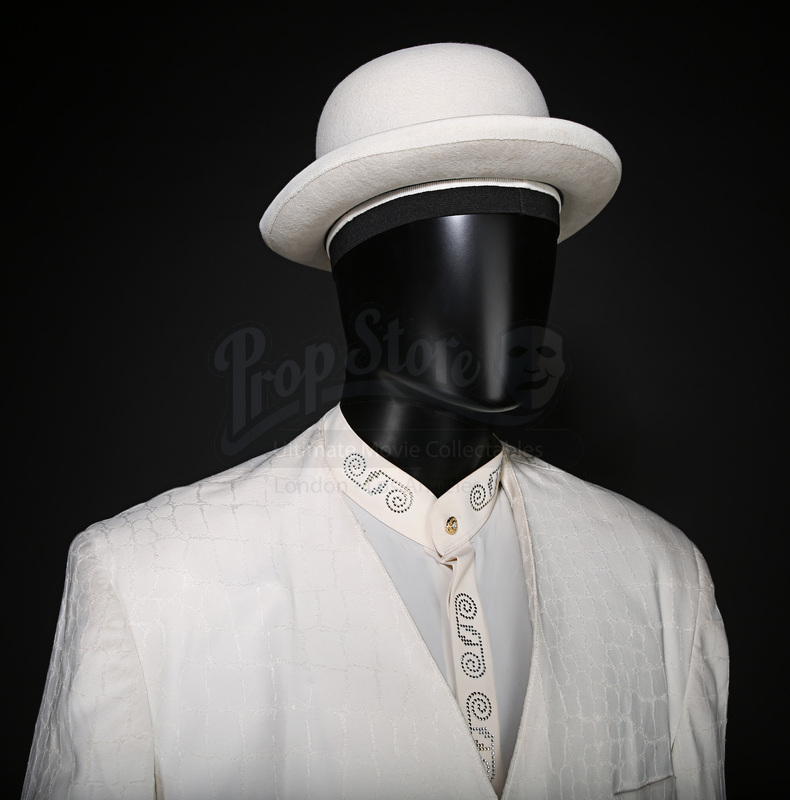 Ali G’s (Sacha Baron Cohen) white suit costume from the British comedy Ali G Indahouse. 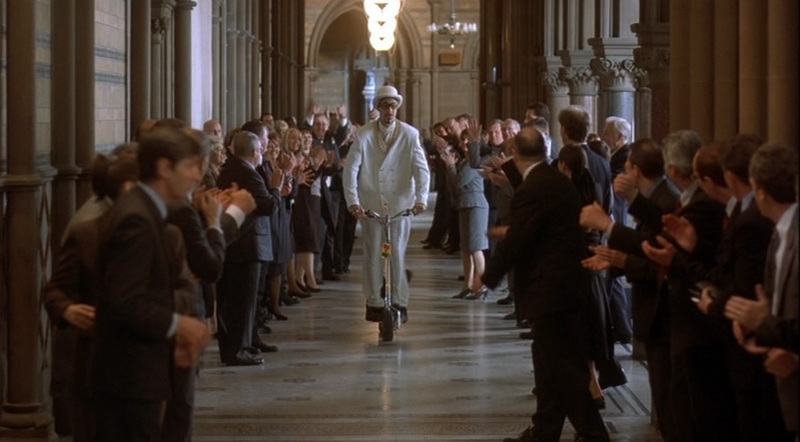 In the film, Ali finds himself being used as an unwitting pawn by the Deputy Prime Minister (Charles Dance) to bring down the Prime Minister (Michael Gambon), but unexpectedly finds himself as an incredibly popular MP. 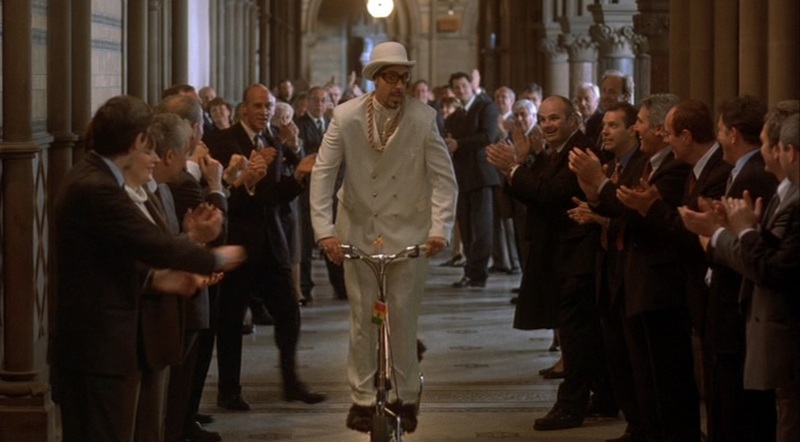 Ali is seen wearing a white suit as he rides a scooter through the Houses of Parliament as his popularity grows and his percentage lead in the polls rises to 22%. 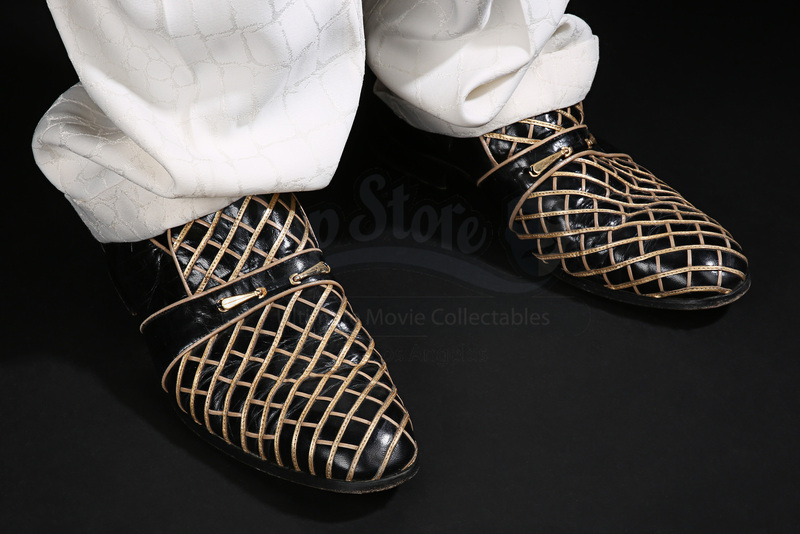 The costume consists of a white snake skin patterned jacket, a pair of matching trousers, a cream sheer shirt, a brown belt, a white elasticated hat, a white felt ‘Herbert Johnson’ bowler hat (size 58) and a pair of black shoes (size 12) with gold criss-cross detailing on the top. 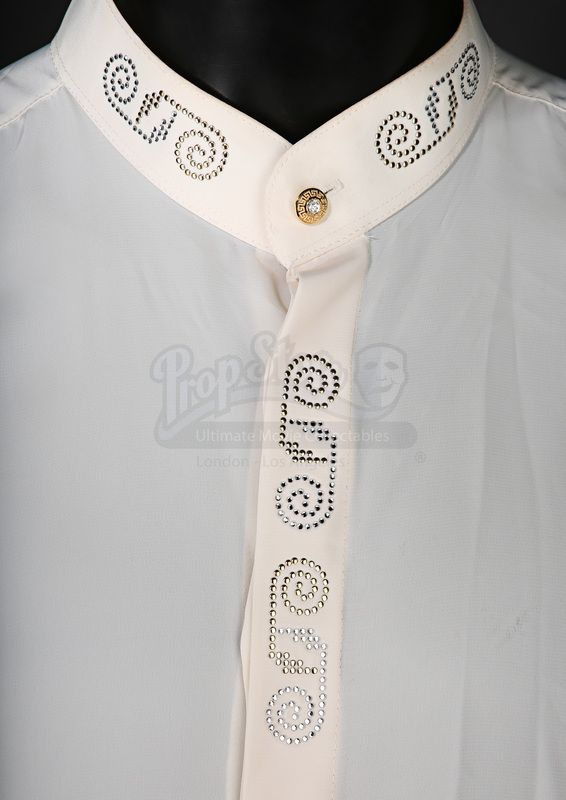 Small silver and gold coloured gems decorate the collar, creating a swirling pattern. 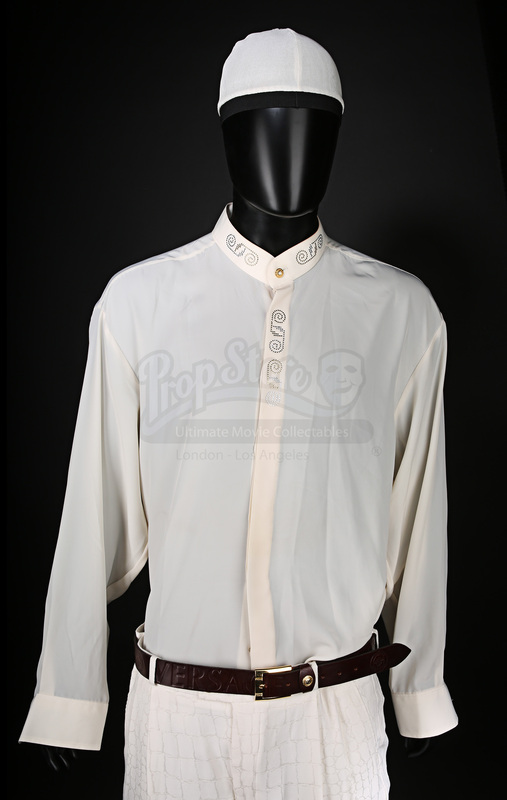 The costume shows minor wear from use on production but remains in overall very good condition.